Steve what model is yours? I can't quite make out the pickup. I think the C-530 was the successor to the Consolette, but it was simply called the Console C-530. Apparently they were sold for about a decade until 1966. 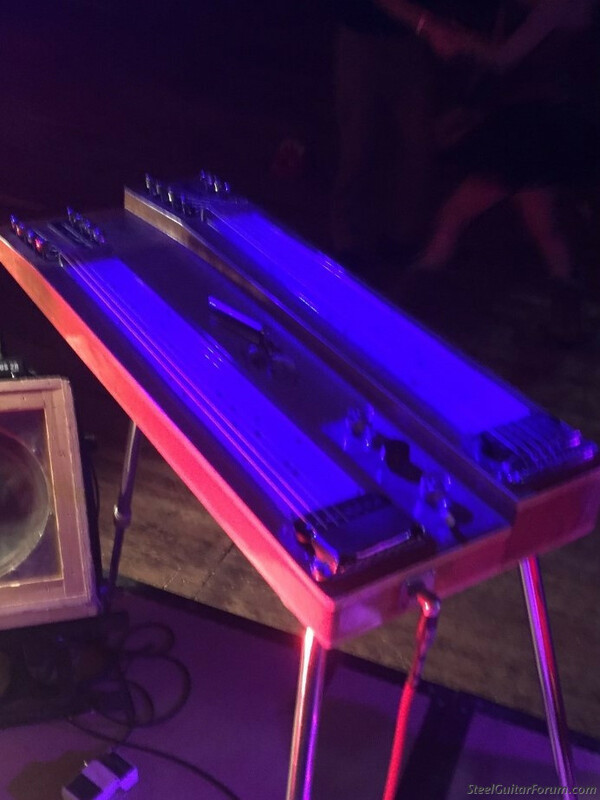 The pickups are the same as used on the Electraharp EH-620/630 models. I assume the earlier Consolettes are more rare. 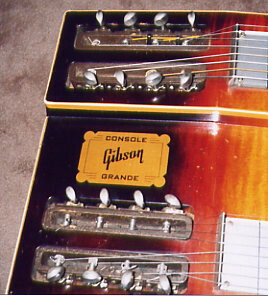 The C-520/523 consoles with the 4-8-4 pickups may have been Gibson's finest creation in the console segment, and they remain underappreciated to this day. Reading Duchoissor p62 I think yours may be a v.2b from 1940 or later. 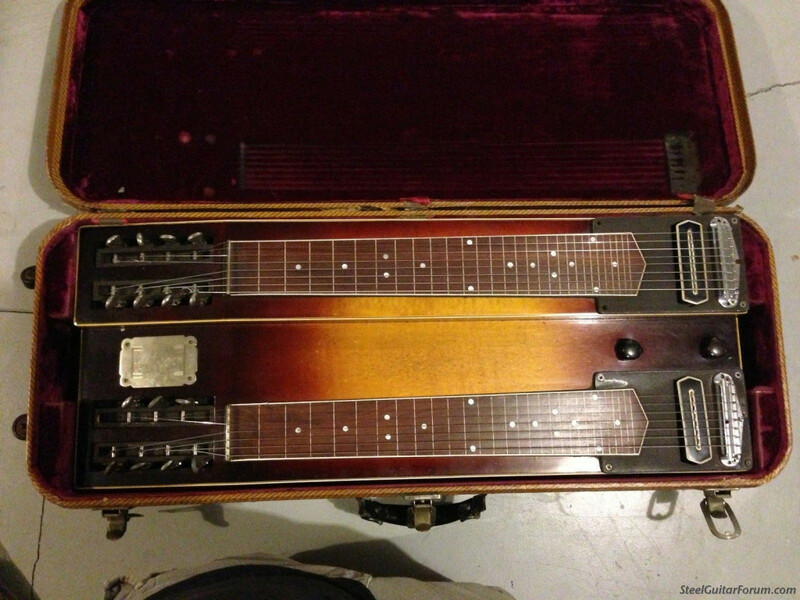 If he is correct then the earliest v.2a were shipped December 1939 and apparently had a mid-body 3-ply binding, the old Abrams mutes and a gloss instead of matte crinkle finish on the Hyblum metal plate. Brad, you are correct. It is a 1940 rather than a 1939. I have looked back at Gruhn's appraisal dated 2013 and he appraised it as 1940. I have edited the above post to show c.1940. Also, here is an earlier post on March 30, 2017 where I used the correct date. My '48 blonde(posted above) under the blue lights last Friday night. Brad: It is a 1949. I'm late getting to this one. I don't know the exact year of my CG. It was bought from Neiforth Radio in Dartmouth in the late 40's early 50's by Len MacDonald a steel player there. When PSG's made it to the spotlight, Len, like so many other interested CG owners, wanted to develop a way to add a pedal to it. You'll see from the 4 pics below, it was a combination of a pedal, an axle, rods, turnbuckles, nuts & bolts, springs, and a yoke. After all that, it didn't work that great. The problem was the tension on one (2nd) string would not quite return to the original note. When one pressed on the pedal, two small poles each with a hole in it through which the 2nd and 3rd string on the outer neck in E Major were raised up to A Major. 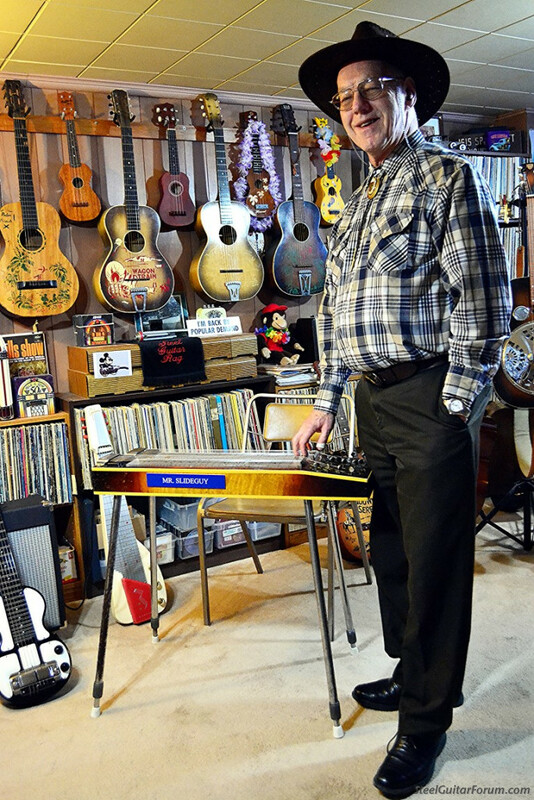 You could really get a nice Ray Price sound. 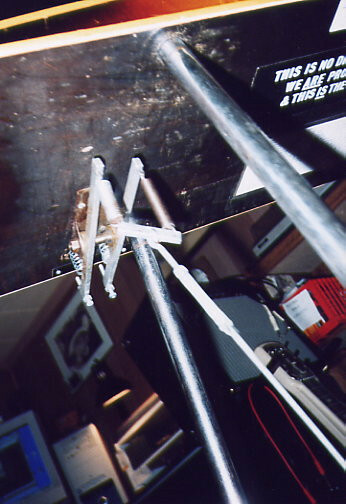 To prevent over rasing, two bolts with adjustable nuts hit the bottom of the guitar. The strings ran through a thin piece of teflon tubing to save wear (see Pic 4). 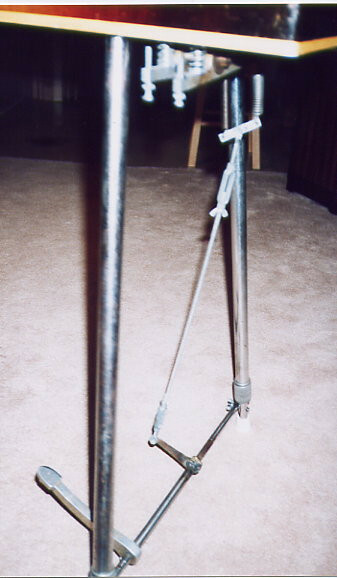 The yoke was required to allow each string to move independently to a preset tension. 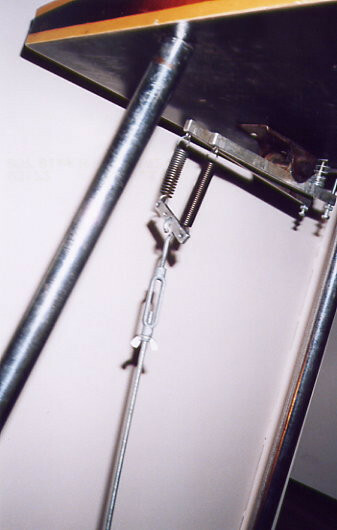 To accomplish this, one had to take into consideration, the distance allowed for the pedal when pressed down to get the right tension. If the pedal was too low, it would hit the floor before the action was full out. You had the 2 strings rising with the uplifting poles, and two heavier springs pulling back the strings when the pedal was released. I guess you might say, “it wasn’t engineered”!!!!!! That's still a nice one George. At least the pedal was tastefully done, even if it didn't work very well. Thanks Brad for the post. You're correct, it is tastefully done. When you're using springs however, they are in their own engineering field. If the chap who made it had touched base with somebody in the spring business, it would have worked better. I only took it off the guitar recently, I had it on just to "show". It almost worked perfectly, I could give the pedal a kick to make it snap back, but when you're playing you can't be fooling around with that sort of thing. There are just too many variables in it.